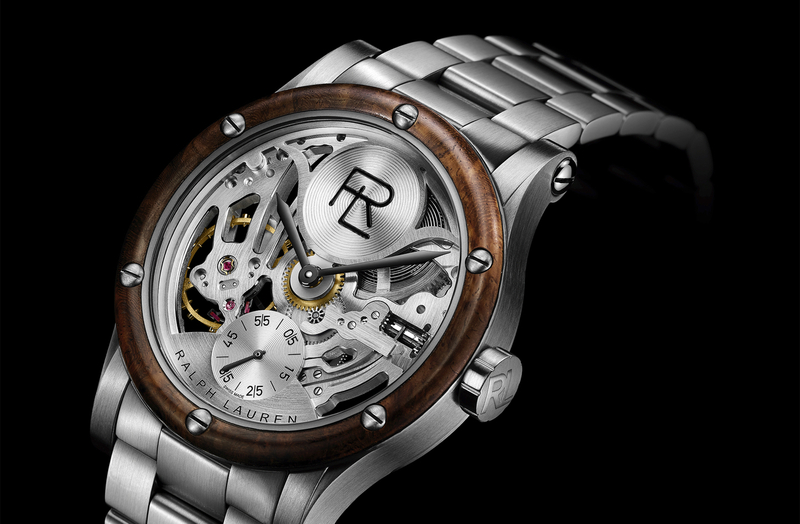 This week in Miami, at the 2018 Watches & Wonders show, Ralph Lauren unveiled an all-new steel version of the RL Automative Skeleton. 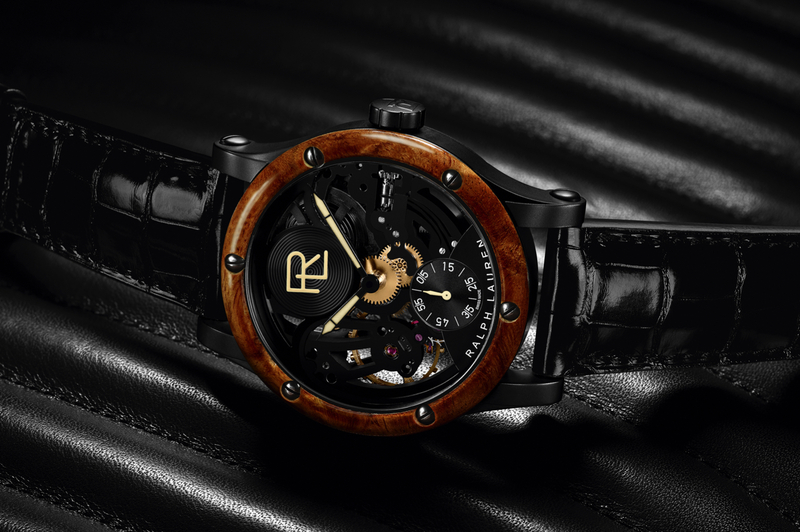 Combining polished and brushed steel surfaces, along with an Amboyna burl wood bezel secured by screws, the watch measures 44.8 mm x 11.2 mm and features design cues that reference rivets that secure the chassis of a car, specifically one of Ralph Lauren’s 1950s race cars. Like the original RL Automative Skeleton, the case measures 44.8 mm by 11.2 mm, just now it is in stainless steel instead of blackened stainless steel. The hands and dial are also in slightly different finishes, but otherwise dimensionally everything is the same. 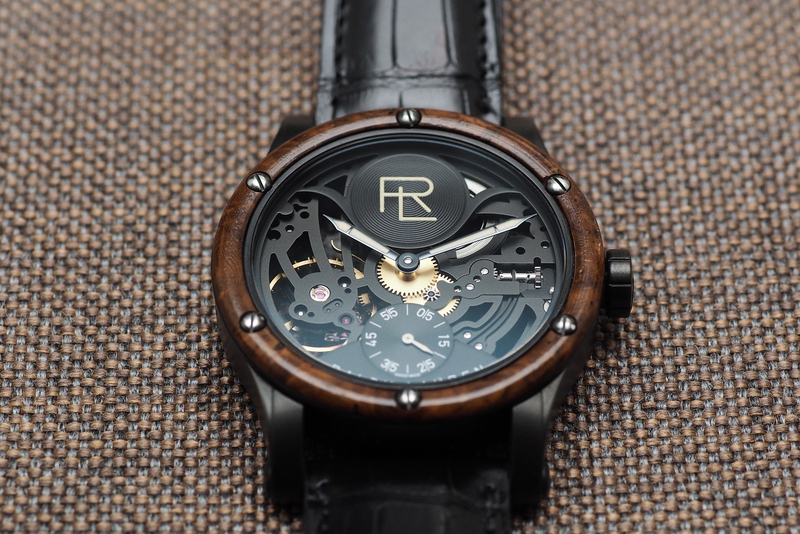 The hand wound movement is also the same as the original RL Automotive Skeleton we reviewed here, with the exception of some new finishes on the components. It is powered by a 2.5Hz hand wound Swiss-made F.A. 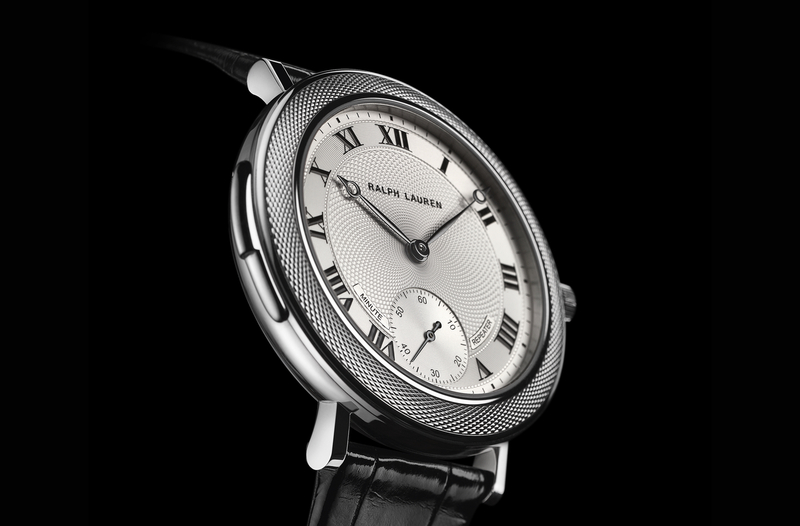 Jones mechanical movement that has been customized by Val Fleurier for Ralph Lauren. Power reserve is 45-hours. The retail price is a mind-blowing $34,200 yet it still falls under the price of the original fifty thousand dollars black gunmetal version by a not insignificant $15,800.